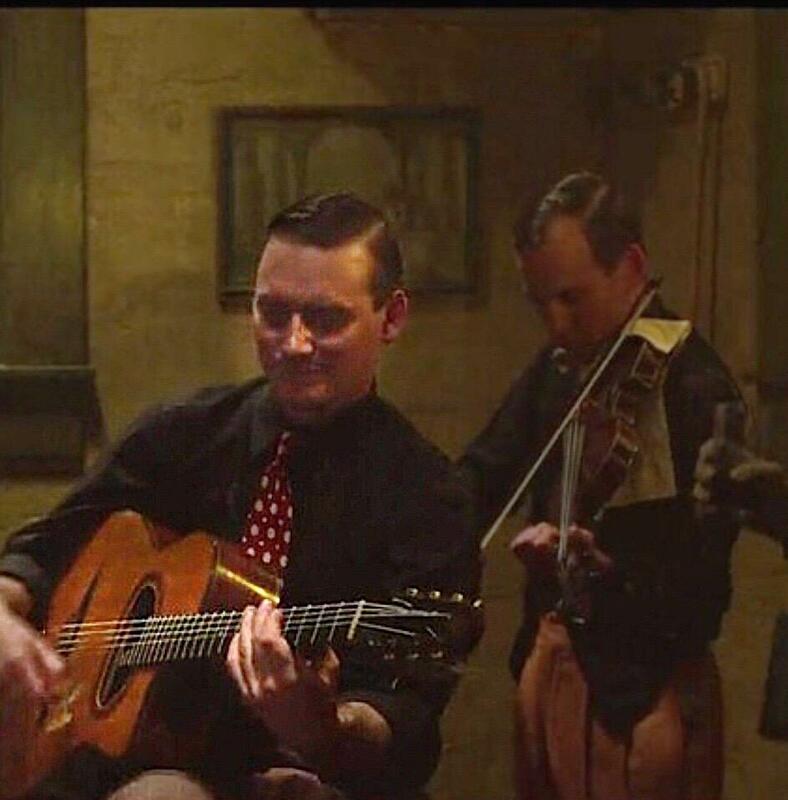 In the Netflix film "The Highwayman" about the two ex-Texas rangers who trapped and killed Bonnie and Clyde, there is a scene where they go into a bar and the guitarist in the band performing there is playing a "D" hole Maccaferri style guitar. I wonder what the chances of anyone actually having an instrument like this in early 1934 in the backwaters of America were? I saw that the other night and that scene caught my eye. I thought somebody involved in making it was a Sweet and Lowdown fan, kept listening for someone in the crowd to call out to Emmet Ray. Yeah saw that. Thought the same thing. @MarkA I thought the same thing, it must've been Emmet Ray! Any screenshot, or excerpt on youtube? Was Clyde an Alto or Tenor player?